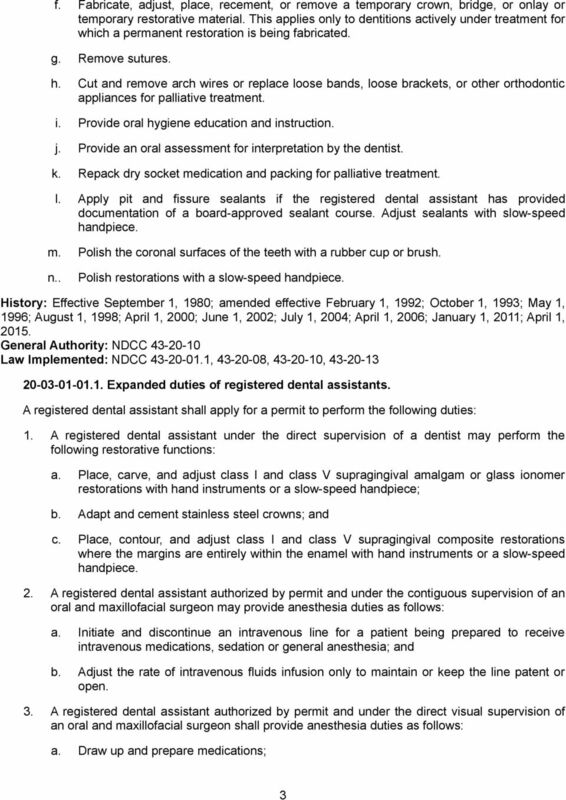 Download "ARTICLE 20-03 DENTAL ASSISTANTS CHAPTER 20-03-01 DUTIES"
Chart 1. Chart 2. How to Use the Following Charts. 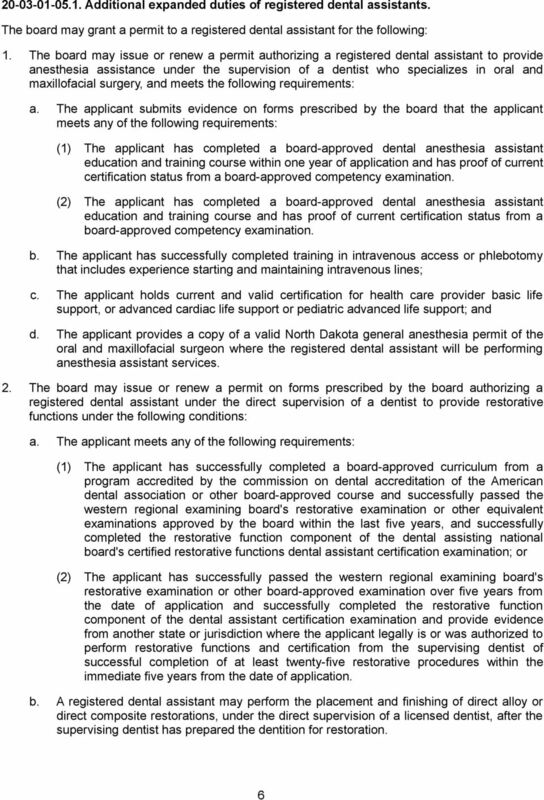 Be sure to follow the legal requirements to perform dental radiographic procedures. 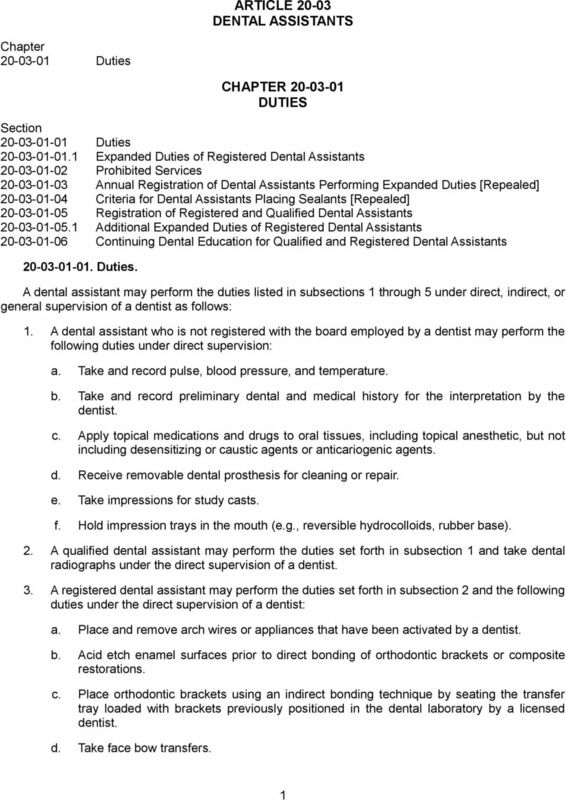 Dentalworkers JOB DESCRIPTIONS Great Team Members make your Office function! Thank you for considering sponsoring a student in the Vancouver Community College, Dental Assisting Distance Delivery Program. General Assembly Raised Bill No. 6814 January Session, 2015 LCO No. 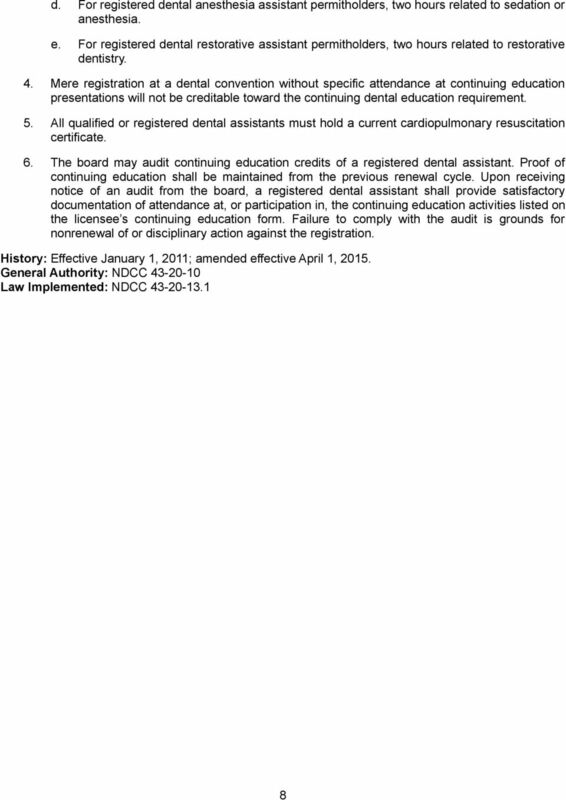 3537 Referred to Committee on PUBLIC HEALTH Introduced by: (PH) AN ACT CONCERNING DENTAL ASSISTANTS AND EXPANDED FUNCTION DENTAL AUXILIARY. 43-20-01. Name of chapter. 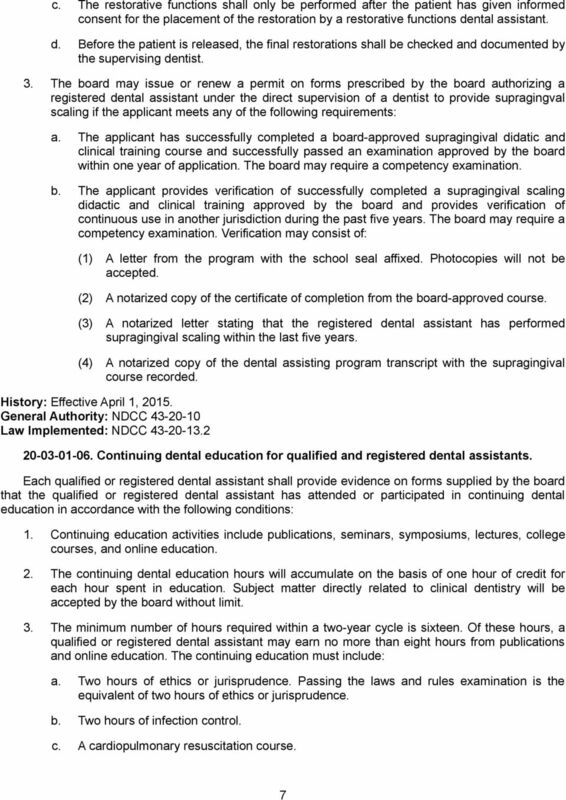 CHAPTER 43-20 DENTAL HYGIENISTS AND ASSISTANTS 43-20-01.1. Definitions. As used in this chapter and chapter 43-28, unless the context otherwise requires: 1. 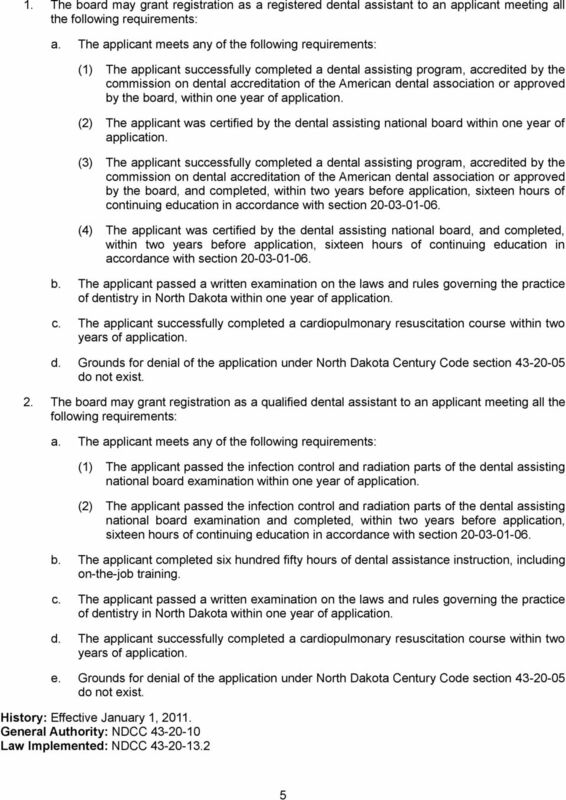 "Dental assistant"
Office of the Professions Education Law Article 133, Dentistry and Dental Hygiene [and Certified Dental Assisting *] Effective January 1, 2015 6600. Introduction. 6601. 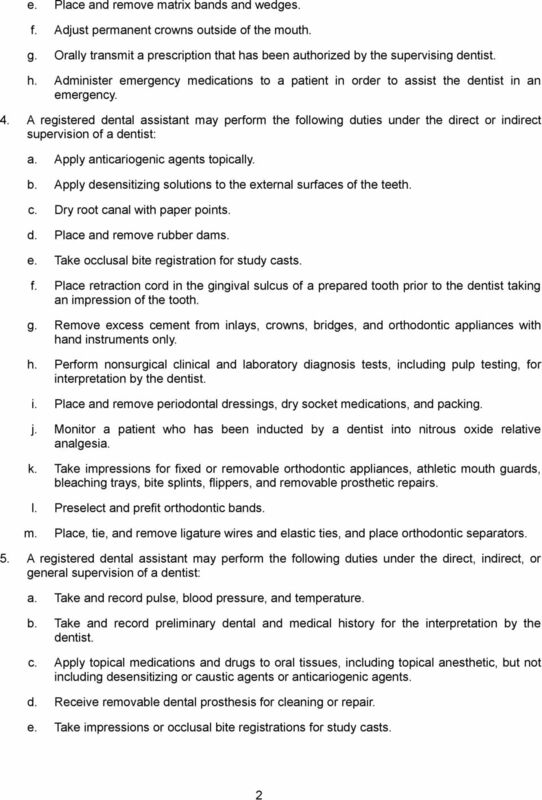 Definition of practice of dentistry. R156. Commerce, Occupational and Professional Licensing. R156-69. 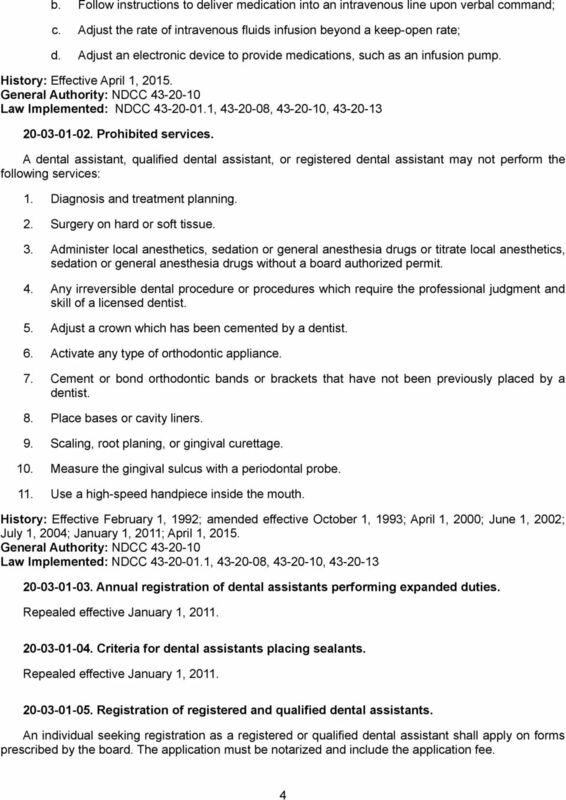 Dentist and Dental Hygienist Practice Act Rule. R156-69-101. Title.